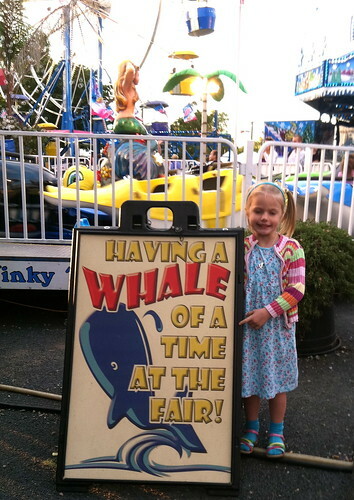 We had a Whale of a time at the Fair yesterday! It was just a lovely day! With a nice cool breeze and not too crowded. 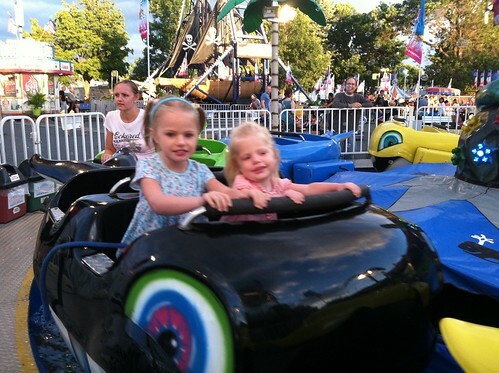 I'll be interested to see the attendance numbers for what is usually the biggest day of the Fair. 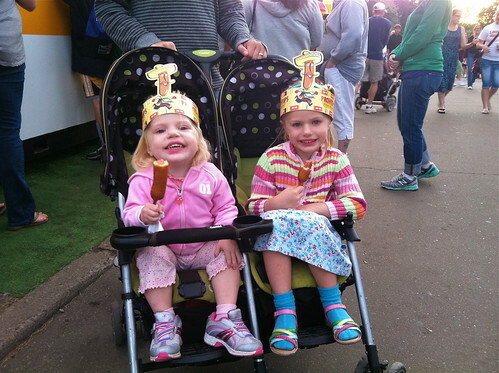 We enjoyed Pronto Pups, Boiled in Lead, Creative Activities, sweet corn tamales, a caramel apple malt (! ), head butters (as Mimi calls them), the whaley whale ride, honey taffy, and (brace yourself) FIREWORKS!